The American Red Cross Blood Bus will be at the Howell Area Chamber of Commerce from 10:30 a.m. to 3:15 p.m. Wednesday, July 22, for a blood drive. Blood is especially needed at this time of year. Appointments to donate are strongly recommended. To schedule an appointment, log onto redcrossblood.org and enter the sponsor code: HowellChamber, call 800.733.2767, or call Michelle Tokan at 517.546.3920. 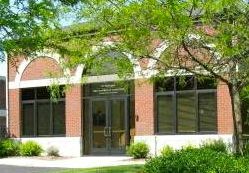 The chamber is located at 123 E. Washington St. in downtown Howell.